Discover the spirit of the genre, strike a chord, and join the bluegrass community. You already belong. The future of Bluegrass depends on the passionate sharing of our music, history, and culture. In fact, that’s a huge part of our mission at the Bluegrass Music Hall of Fame and Museum. We help make this happen in a number of ways, including lessons, workshops, and open jams. What’s more authentic than learning AT the Hall of Fame? The Saturday Lesson program is designed to make bluegrass music more accessible to all who are interested in learning to play an instrument. Spring classes run twice a month for five months leading up to the “All-Star” group student performance at ROMP. Thanks to grants from the Micheal E. Horn Family Foundation and the Lester E. Yeager Charitable Trust, lessons are offered at a heavily discounted rate to the students. All classes take place at the Bluegrass Music Hall of Fame & Museum. Beginners - This class is for newcomers, no skills required. Intermediate - Beginner students that have completed two semesters and are ready to expand upon the skills learned. Bluegrass Band - This class is for musicians and singers and will teach you how to play with others as the group learns songs together. You will learn how to arrange the song, pick the best key for the song, play along with different instruments and singers, and perform together at a local nursing home. We hope this experience will create relationships, spur bands to form, and make more music in our area and beyond. You must have basic playing knowledge of your instrument or singing. Instruments will be acoustic only or small percussion. The styles covered will be bluegrass and country. Professional musicians and teachers will lead the class. For more information about classes, Click Here. Community has always been the driving force behind bluegrass and each new generation builds upon the legacy of the last. Since 2003, this museum’s Bluegrass in the Schools (BITS) program has introduced the fun and excitement of bluegrass to over 9,500 elementary students through various programs. In 24 area elementary schools, several middle schools, the H. L. Neblett Community Center and River Valley Behavioral Health, we provide up to eight days of hands-on instrument instruction per school. With every banjo, mandolin, guitar and fiddle put in a young person’s hands, a direct, tangible link is forged between the student and his/her cultural heritage. In each of these schools and community centers, we provide school-wide bluegrass music assembly programs showcasing superb bands in performance or original musicals written and produced by this museum. If you’re a closet picker, music “jam” camps are a great way to try your hand at jamming with other bluegrass musicians. Pete Wernick's inventive teaching method focuses on the student's desire to play music in a social setting and these camps have been launching beginning jammers everywhere! We will show you how to be in a bluegrass jam session, fitting in at your own ability level. You will be jamming the first morning! Ready to connect with other musicians? Join us the first Thursday of each month for a free and open jam session. The jam takes place from 6-9pm and is open to everyone. Pickers of all skill levels are encouraged to participate. From 6-7:30, we'll have an instructor-led slow jam, which is designed for the novice musician. We also welcome non-players to explore the museum and take in the music. Please call the museum at 270-926-7891 for more information. 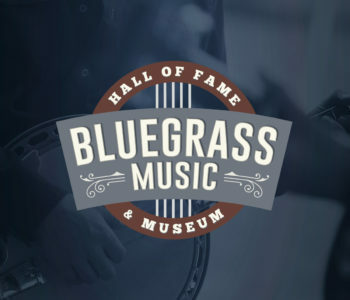 A partnership of the Bluegrass Music Hall of Fame & Museum and Volunteer Owensboro, the Bluegrass Band Project gives local musicians a way to come together and serve the community. The objective is to bring together local musicians, learn specific bluegrass songs in a group setting, learn the fundamentals of playing music as part of a band, and finally putting people together into smaller groups as a basis for creating a band. Once small groups are established in month three, each group will have a band coach to help the musicians gel and grow accustomed to the give and take of working with other musicians. In other words, working together as a real band. As part of the program, each band will “graduate” to work on their own committing to one rehearsal each month along with one performance each month coordinated through either Volunteer Owensboro or the International Bluegrass Music Museum. This performance could be for another local non-profit event, charity fundraising event, skilled nursing facility, homeless shelter, or other similar organization. The idea is to serve and to share the joy of making music with others.